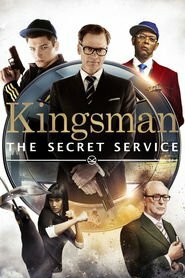 Overview… veteran agent for Kingsman, a privately run British secret service. Harry Hart owes the late Lee Unwin for saving his life at the cost of his own. His new obligation is to Lee’s son, Gary “Eggsy” Unwin, who hasn’t had much luck since his father died in a mysterious training accident. After helping Eggsy out of a tight spot, Harry spots the young man’s potential and decides to sponsor him as a Kingsman candidate. Personality… polished, self-possessed, and possibly more suave than James Bond. His motto is, “Manners maketh man.” Harry Hart is the epitome of a gentleman, even when he is calmly taking down multiple men with a militarized umbrella. Unlike several of the other men in Kingsman, Harry proves that being posh doesn’t preclude being open-minded. He believes that Kingsman is ready for change, in the form of street-smart Eggsy as its newest operative. Harry Hart's popularity ranking on CharacTour is #325 out of 5,000+ characters. See our top-ranked characters and read their profiles.